JT Racing USA, the most innovative and legendary motocross gear company of the ’70s, re-entered the market in 2012 with an exciting new line of high-end and uniquely advanced riding gear. 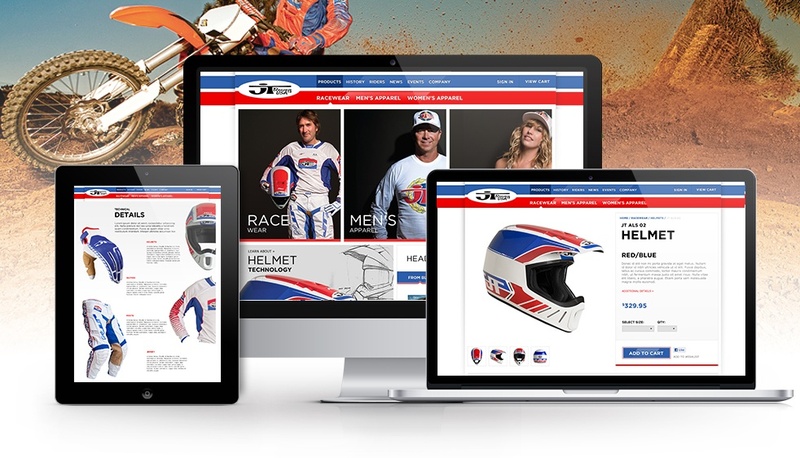 JT engaged Zinc to reintroduce the brand by creating a completely reinvented visual experience with ties to the past, and an innovative Magento Community eCommerce site in which fans would immediately recognize the authentic JT Racing Racing style. Zinc delivered a design solution with unmistakable cues from JT’s famous product designs and it met the approval of the past JT Hall of Fame motocross champions who still ride with JT today.